The first festival outside India dedicated to Indian cinema returned for its 18th edition in December 2018, and the Bagri Foundation was delighted to join forces with the Festival for the first time as the major sponsor. 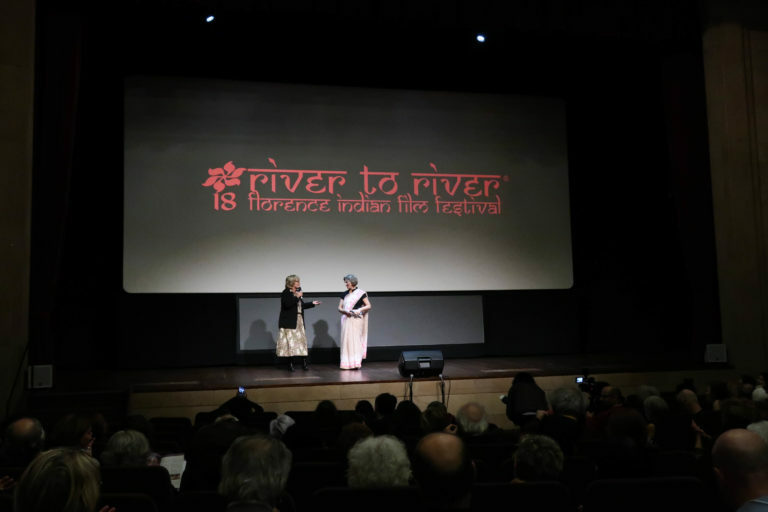 River to River Florence Indian Film Festival took place in Florence, Italy at “La Compagnia di Firenze” cinema and other locations across the city. It opened with the award-winning film Sir and an in-conversation with the Director Rohena Gera. The film festival aims to promote Indian films and films about India, with a full programme of feature film, documentaries and a shorts programme, special screenings, as well as side events from food to music to art. The Bagri Foundation shares the Festival’s vision to establish a dedicated space for audiences to absorb, engage with and reflect on the world of Indian cinema, offering a vital platform to expand the reach of these films to international audiences and to broaden understanding of India’s filmmaking culture. Faithful to its founding purpose: to raise awareness of Indian cinema and celebrate its incredible diversity, River to River continues to showcase the latest Indian feature films, short films and documentaries in competition and offers engaging Q&As with emerging and well-established filmmakers. Find out more about River to River here and view the 2018 programme here.